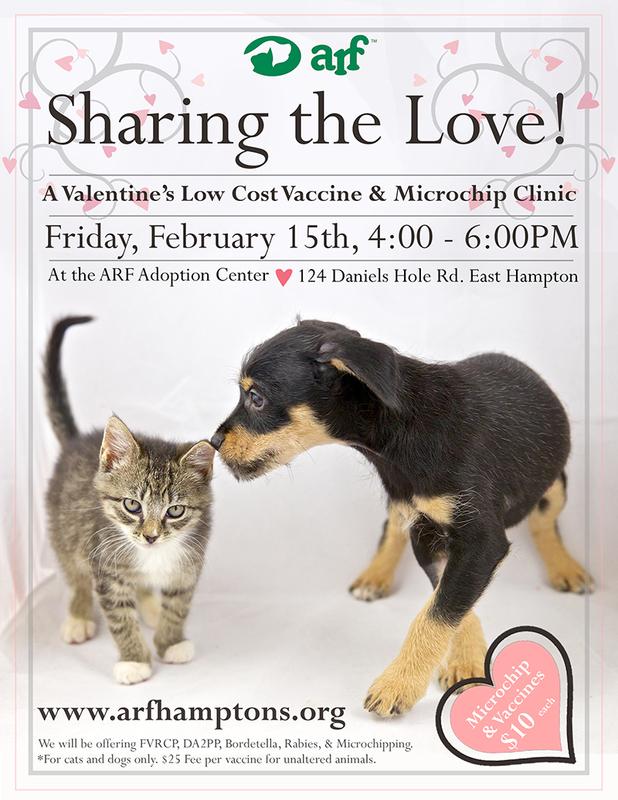 Join us for a Valentine’s Day Low Cost Vaccine and Microchip Clinic from 4 – 6 PM. We will be offering FVRCP, DA2PP, Bordetella, Rabies and Microchipping for just $10 each*! Plus meet our adoptable animals. *For cats and dogs only. $25 fee for each vaccine for unaltered animals. No appointment necessary.